EarthShare Washington is looking for an emerging fundraising professional with a strong interest in environmental issues and the desire to have a big impact. This position reports to the Executive Director and has primary responsibility for growing entry-level giving and expanding EarthShare’s presence in the community. The ideal candidate will be a self-starter, have a working knowledge of fundraising best practices, and the confidence to creatively challenge those norms when necessary. This is a part-time position (28 hours/week, in office approximately 4 days a week) with the potential to become fulltime. The expected salary range is $18.00-$19.50/hour. Benefits include medical, dental and vision, subsidized orca pass, two weeks paid vacation and four sick days in first year. EarthShare Washington unites people, organizations and resources to champion Washington’s environmental future. Our membership of 60 leading environmental nonprofits works to protect and conserve our forests, farmland and water resources, safeguard human and animal health, promote renewable energy, combat climate change, and provide education on these issues so we are all better informed and able to act. In turn, we promote their work and seek resources to support it in public and private workplaces throughout the state, while giving employees and the general public the opportunity to engage the environmental community and have the broadest and most effective possible impact. EarthShare Washington is an Equal Opportunity Employer that values diversity and equity in all areas of its operations. We affirm that our governing policies and procedures for hiring, membership, and provisions of services comply fully with all applicable laws and regulations concerning nondiscriminatory employment practices. It is our policy to not discriminate because of a person’s gender, race, color, religion, national origin, political ideology, age, marital status, disability, sexual orientation, gender identity, honorably discharged veteran or military status, or any other legally protected status. 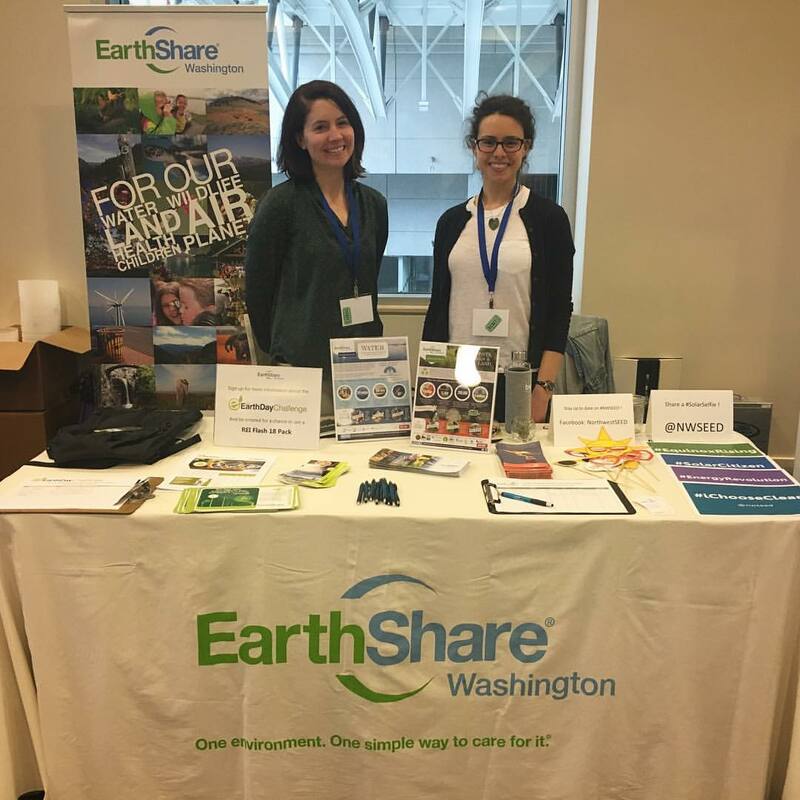 EarthShare Washington looks to all staff to contribute to the effective implementation of programmatic activities and the successful growth of the organization.